40± acres within the beautiful Bryson Hesperia community and microclimate. Varied terrain and vegetation make this a fascinating and versatile parcel. 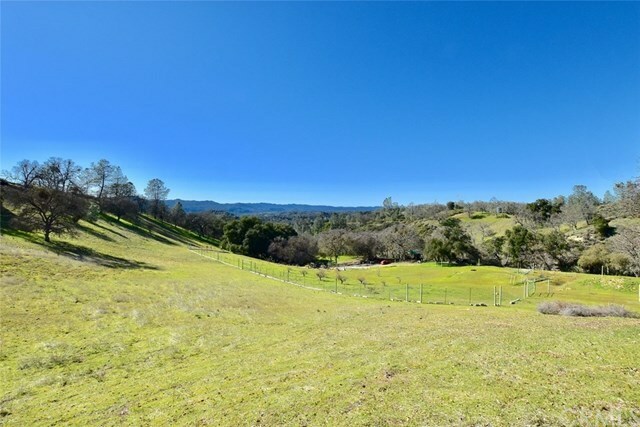 Lots of mature oaks, pines, and manzanita, open pasture, and elevated view sites, plus a very private home site and established ¾ acre orchard. 50± trees include apple, apricot, English walnut, pomegranate, pear, peach, cherry, and more. Deeded access to the property is easy from Bryson Hesperia Road through the private wrought iron gate. The tough part is done. Seller has paid approximately $30K in Monterey County permit fees for a 2,730± sf single family home with huge 2,212± sf porch and 1,248± sf garage. The existing older mobile home may be utilized while building your dream home. PG&E electric meter and private well are connected to the mobile home. Located just half a mile from the historic Hesperia Hall where you will enjoy community gatherings and events including yoga sessions, potluck’s, country faire, quilting and sewing, BBQ’s, concerts, open mic night, farmers markets, and more. 25 minutes to the Oak Hill Shopping Center where you will find a fully stocked grocery store, butcher shop, deli, gas station and car wash, café, pizza parlor with bar, vet, gym, clinic, and post office. A nature lovers dream! Great for full time living or make this your home base for recreational activities including lake fun at San Antonio and Nacimiento lakes, horseback riding, hiking, biking, hunting, birdwatching.